In 2006 ERA decided to honour from time to time an outstanding personality from retail-academia, who beside his work as a researcher or university-teacher contributed to society by building bridges between theory and applied sciences or via social activities. Prof.Dr.Raekwon Chung was born in 1954 in Incheon/Korea. He studied at the Sungkyunkwan University in Seoul/Korea and at the Georgetown University in Washington/DC in the USA. He had been director at the United Nations Economic and Social Commission for Asia and the Pacific. In 2007 Prof. Chung was awarded by a personal copy of the Nobel Peace Prize given to the Inter-governmental Panel of Climate Change (IPCC). The subject of his contribution had been a study about climate change and technology transfer. Today he teaches at the Incheon National University. 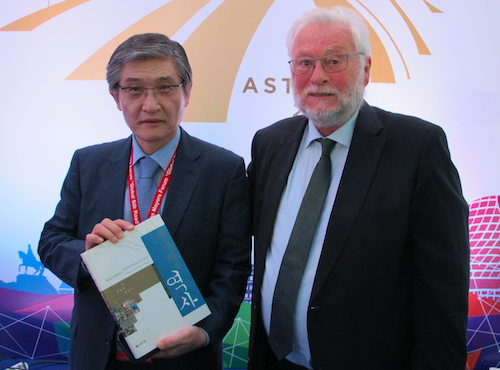 First time Prof. Chung and Prof. Hallier met at the Astana Economic Forum in Kazakhstan in 2013. An international student delegation from Eurasia under the leadership of Prof. Fedorov/USUE Yekaterinburg and Prof. Hallier had created a Memorandum for a Green University platform (today: Global Green University) - Prof. Chung was the first external professor who immediately signed that Memorandum. Since then the dialogue continued within the frame of the Astana Economic Forum, the EXPO Astana and the Club of Silk Road Mayors. "The 2019 nomination of Prof. Chung at the Hall of Fame is a support for a Global House of Harmony based on the integration of Economics, Ecology and Ethics" Prof. Hallier stated. Prof.Dr.Ing.Peter Bielik, PhD., was born in 1952 in Nitra, Slovak Republic. From 1978-1981 he was full-time PhD-student at the Slovak University of Agriculture in Nitra, where he later became the Head of the Department of Economics, later Vice-Dean and Dean. Since 2010 he is the Rector of the SUA. 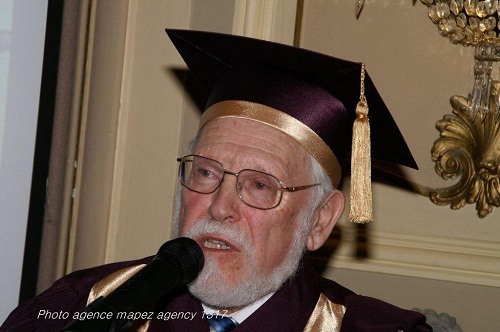 Peter Bielik was awarded with a doctor honoris causa by the Szent Istvan University of Godollo/Hungary in 2007, by the Delhi School/India in 2010, by the National University of Life and Environmental Sciences of Ukraine, Kiev/Ukraine in 2012, by the Agricultural University in Cracow/Poland in 2012, by the Russian State Agrarian University/Moscow in 2013, by the Belgorod State Agricultural University named after V.Gorin/Russia in 2016 and by the Vinnytsia National Agrarian University, Ukraine in 2017. In 2011 Bielik created the Visegrad University Association (VUA) which has at the moment 58 members from 23 countries; more than 200 students and 60 teachers have participated in VUA summer-schools. In 2013 additionally a special VUA Youth Platform was established having had its annual meetings since then at Godollo. The European Retail Academy became Honorary Member of VUA at its start. Philip Alexander Nobel was born in Stockholm/Sweden in 1970 - he died surprisingly in 2016. He had studied Economics and Business at the University of Lausanne/Switzerland. Later he was co-founder and vice-chairman of the Nobel Sustainibility Trust, founder and CEO of the Nobel Development Holding and founder and chairman of the Nobel lnternational Fraternity. Philip Nobel was striving to offer high-level education, online/distance-learning, promoting research and higher achievements. He saw himself in the footsteps of his great grandfather who encouraged education among the children of his employees at a time, when children were supposed to work and not to study. Philip Nobel was a heavy supporter of the Astana Economic Forum and a former Advisor of the international Affairs at the Eurasian Economists Club of Sciences, the Astana Club of Nobel Laureates and G-global. His gentle way of advice will be missed - especially also at the ASTANA EXPO 2017 being dedicated to his favourite topic of sustainability. Prof. Dr. John L. Stanton, born in 1945 in New Jersey, USA got a BS in 1968 at the State University of New York at Syracuse and the PhD at Syracuse University in 1973. Dr Stanton directed the Food Nutrition and Health Institute at Temple University until 1984. 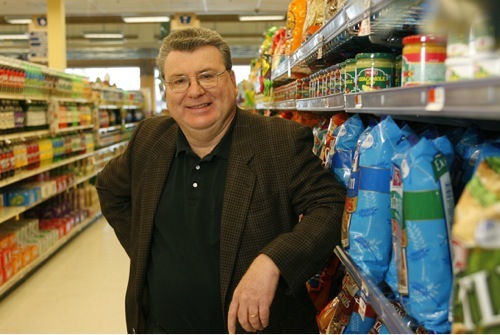 Since 1984 he was a full Professor of Food Marketing at the St. Joseph's University in Philadelphia, USA. Beside academia John has also worked either as a manager or as a consultant for companies like Campbell Soup, Kellogg, Kroger, Melitta and the Tengelmann Group. Dr. Stanton has authored over 100 peer reviewed articles and 10 books on food, nutrition and Health topics including a seminal article in the journal SCIENCE. John lived and taught in other countries such as Africa, Brazil, Germany and Ireland. He has been regularly quoted in the media such as CNN. Among other activity he hosted an episode of the History Channel's Modern Marvels entitled "The History of Supermarkets". He received Teaching and Research Awards in the USA. For many years he is a member of the Board of ERA and was also honoured by the ERA-partner RAU in Bucharest/Romania. John Stanton's Food Marketing fits totally into the SANABUNA initiative of Health, Nutrition, Fitness and Well being as well as the Food Waste Management of the European Retail Academy. His nomination highlights this focus in 2016. Prof. Dr. Leon F. Wegnez is born in 1938 in Verviers/Belgium. He comes from an academic family with a mother being professor, a brother and sister as professors - as also his wife being a professor in French language and literature. His children are covering a broad facette as Archeologist-Egyptologist, Psychologist and Economist. As a young man Leon was sent due to his knowledge and language skills to Tunesia for project-developments, later to the USA and Japan. In the 80ies Leon became first Director, then Director General of BCD, which was honoured in 2004 by the name Royal Belgian Committee for the Distribution. Internationally Leon already in 1976 had been elected Secretary General of A.I.D.A. : he organized for them 27 international congresses and symposia all over the world. Furtheron he is one of the fathers of Urbanicom International: an inspiration for CityMarketing. Since more than 25 years Leon Wegnez is involved in diplomacy. He is Director Secretary General of the Diplomatic Club of Belgium - and a well known author in that Gazette or at Distribution d'aujourd'hui. Last but not least he has published lots of books; lately in 2014 about China. His academic life was also honoured by a Dr.h.c. of the University of State of Romania (SNSPA) (see photo) in Bukarest. Romano Prodi was born in 1939 in Scandiano/Italy. He first studied law in Milano and after completing in 1961 he added post-graduate studies in Milano, Bologna and at the London School of Economics. From 1971-1999 he was professor for economics and industrial policies at the Bologna University. Politically firstly engaged in the Democrazia Cristiana already in 1978 he was for one year Minister for Industry; becoming from 1996-1998 based on the Ulivo-Cooperation for the first time Prime Minister of Italy. Being President of the European Commission from 1999 till 2004 he became again Prime Minister in Italy from 2006 till 2008 based on the party Democratici which he founded himself. 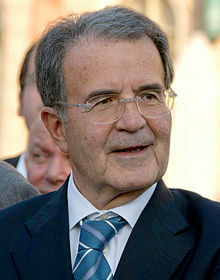 Romano Prodi has published numerous articles and was awarded worldwide with many academic honours - among it in 2011 the doctor honoris causa from the University of Halle - Wittenberg / Germany. He is also a regular visitor of the Astana Economic Forum. Prof. Dr. Klaus Toepfer was born in 1938 in Silesia (today Poland). His family was settling after World War II in Hoexter/West Germany. He studied macro-economics at the universities of Mainz, Frankfurt am Main und M?nster, where he earned his PhD about Regional Policy and Site Planning in 1968. His professional career since then was always being active in politics as well as teaching at universities. As a scientist he got honourable PhDdegree in Cottbus, Berlin, Duisburg-Essen, Hannover, Lausanne/Switzerland, Freiberg, Kaiserslautern and honourable professorships in Shanghai/China, Mainz, Tuebingen, Landau. As a politician he served in the German Federal Government since 1987 as an environmental minister and initiated in that time recycling-ideas and was involved in the Total Supply Chain together with Prof.Dr.Hallier. Later he became responsible as a minister during the reunification of Germany for City Planning. In 1998 he started then to work for the United Nations as an Executive Director for UNEP in Nairobi/Kenya being till 2006 also Under-Secretary General of the UN. The environmental concepts of the Kyoto-protocol and the follow-up in Rio de Janeiro are based on his thoughts about environment and sustainability. Prof.Dr. Robert Aumann was born in Germany in 1930 becoming an Israeli-American mathematician and professor at the Hebrew University of Jerusalem in Israel. In 2005 Aumann was awarded by the Nobel Prize for his contributions for the game theory. Aumann belongs to the founders of the Astana Club of Nobel Laureates who support the annual Astana Economic Forum in Kazakhstan. In this function he is a bridge-builder for transition in Central and East Europe and the Eurasian initiative of a global dialogue. But Aumann is also a bridge-builder of generations. Using his presence in Astana he is teaching at the L.N. Gumilyov Eurasian National University. In 2012 he handed over the newly created Award for the Youth by the Astana Club of Nobel Laureates (see News of June 15th 2012 at www.european-retail-academy.org). On that occasion Prof.Dr.B. Hallier proclaimed him the 2012 star of the Hall of Fame of the European Retail Academy. Mikhail Vasiljevitch Fedorov was born as one of seven children on January 1st 1951 in Novosibirsk/Russia. He became specialist at the Sverdlovsk Mining Institute between 1969 to 1973. At the Moscow Geology-Prospecting Institute he earned his Dr. of Science (Geology and Mineralogy) between 1989 to 1993 and in Yekaterinburg State University of Economics his Dr. of Science (Economics) in 2002. He became rector of the University of Economics in 2005 and he started to transform the university from the old Soviet style to a very modern organization with great scope for the colleagues and students to participate. Besides that he is active in the region being Vice-President of the Sverdlovsk Oblast Union of Industrialists and Entrepreneurs designing proposals concerning industrial and education-policies for the regional development since 2009. When president of Kazakhstan Nursultan Nazarbaev started the initiative to create Eurasian Economic Club of Scientists Mikhail Fedorov immediately saw the potential and supported this international association and the Astana Economic Forum. He became Vice-Chairman of the Coordination Council of the Club. This is not only a great success within the frame of education , but Fedorov contributed by this also to change the image of the city of Yekaterinburg from the closed Soviet industrial Sverdlovsk to an international modern knowledge center within Eurasia: a bridge between Europe and Asia. Prof. Barabaner is Estonian, but was born in 1933 in Leningrad (St. Petersburg). Leaving school in 1951 he graduated in 1956 from the Leningrad Institute of Engineering and Economics , 1961 from the Moscow Institute of Power Engineering and in 1968 from the Institute of Thermophysics and Electrophysics of the Academy of Sciences of the Estonian Republic. He started his engineering activities as a power engineer and became an internationally recognized expert and adviser for power of rural districts and power of municipal services. Among his international projects: from 1965-1968 he was engaged by the Council of Mutual Economic Aid in agriculture from Mongolia to Czechoslovakia; from 1980-1995 he was an expert of the Power Commission of the Social and Economics Committee of the United Nations. Prof. Barabaner founded in 1993 the International Ecological and Technological College (IETC) in Tallinn/Estonia ? transformed in 1997 in to SIEM and in 2006 in to ECOMEN (Institute of Economics and Management). In 2008 he became additionally one of the founders of the Eurasian Economic Club of Scientists in Astana/Kazakhstan, where he was appointed Vice-President in 2010. Born 1940 in Welwyn Garden City in the UK, Ross Davies studied in North America at Northwestern University, and completed his doctorate at the University of Reading on the structure of shopping centres, which created in him a lifelong interest in the changing nature of the retail environment and in the locational strategies of retail firms. From 1974-1984 he worked at the University of Newcastle-upon-Tyne where he established his reputation as a retail geographer. His entrepreneurial activities could be seen in 1976 when he set up his own publishing firm, in 1979 when he persuaded Tesco and the local council for an experiment which today we call e-commerce. In 1984 he joined the University of Oxford Templeton College where he established the Oxford Institute of Retail Management. In 1980s he raised in the British public a debate about retail planning in the UK with the result that a whole new set of policies emerged on Government level. In the 1990s Ross Davies extended his interests internationally. He connected Oxford with Asia, where he was well known in the boardrooms especially in South Korea and Japan. Writing about ?meeting the fixer?, the UK?s Retail Week industry magazine devoted a major article to his influential style of working and his extensive network of contacts. In 1997 the EHI Retail Institute was his guest in Oxford. His European Retail Seminars became also for EHI an inspiration for todays network of the European Retail Academy. Although he officially retired from Templeton College in 1999 he still kept contact with Oxford as an Emeritus Fellow and he was appointed to a Visiting Chair at the University of Surrey?s School of Management. Last, but not least, Ross Davies should be honoured as a great lecturer who inspired loyalty in those with whom he worked. He opened the doors and paved the way for the careers that many of them now hold. Ross Davies passed away in 2005 but will be long remembered in retail academia. Vladimir Ivanovich Malyshkov was born on September 6th, 1941 in the Vladimirskaya oblast (region). He studied at the Moscow Institute of the Soviet Trade and graduated in 1970 with a diploma "Science of commodities and organization of trade". Since 1993 V.I.Malyshkov is Minister of the Moscow City Government and head of the Department of trade and services of Moscow City. From that time onwards he was responsible for the transformation of Moscow trade and to a certain degree also for the city-marketing. In this period Moscow gained the image of being one of the most dynamic metropolis of the world. Prof. Malyshkov is well-known also for his macro-economic analysis of the national development as well as the sector-analysis of goods and services. He is editor in the team of the magazines ?Food and Society?, ?Moscow Trade?, "Russian Trade", "The Moscow Feast" of "Trading Newspaper", "Directory of the Trade Leader". Prof. Malyshkov is president of the Moscow Academy of Business at the Government of Moscow and Vice-president of the Moscow International Business Association. 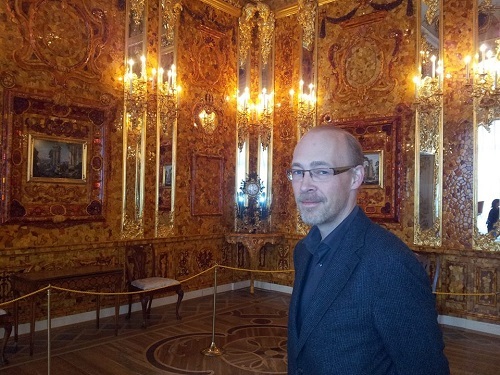 He is also Doctor honour causa at the Plekhanov Russian Academy of Economics in Moscow, where he has a chair. Jir? Jindra was born in Vysok? M?to/CZ at 1934. He studied in the Trade Faculty at the University of Economics in Prague(V?E) and graduated 1957 at the level of master. In the same year Jir? 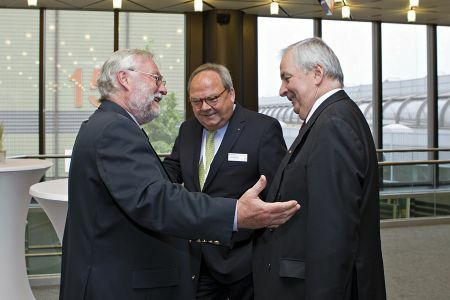 Jindra started his work at the Research Institute of Trade.In this function he initiated in 1989 -at that time still for the Czech-Slovak-Republic- the first visits of trade-delegations to Cologne for discussions with the DHI (today EHI) Retail Institute. In 1993 Jindra meanwhile back at the university became dean of the International Faculty of VSE. In this time he promoted the transformation of the Czech retail in workshops with retailers to analyse the situation by a barometer of the commercial climate. His main subjects as an academic teacher have been Retailing and Trade Logistics. Books to be mentioned are Trade Logistics(1993) and International Retailing(2002). 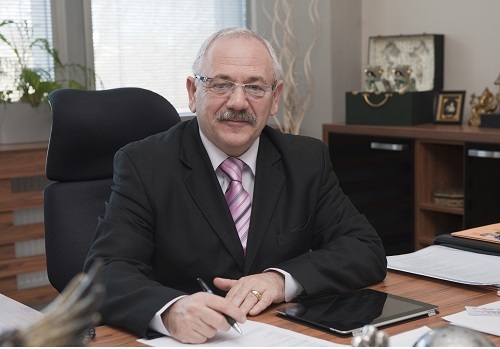 Beside his academic work Jindra helped to establish the Czech retail association Svaz Obchodu and was its vice-president from 1993 to 2003. In 1995 he initiated the Czech Retail Summit, which he presided from 1995 uptill 2005. In both capacities he united retail/wholesale with the academic levels of VSE and with government officials. Last but not least he promoted the international dialogue and contributed by this a special flavour to the Prague-meetings.